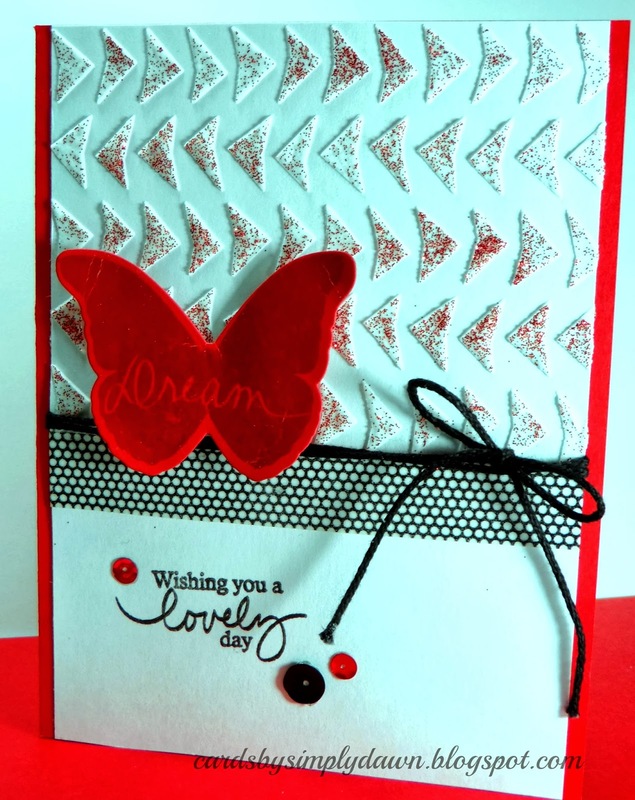 Simply Dawn: Glittered Embossing Paste, Oh My!! Boy oh boy! 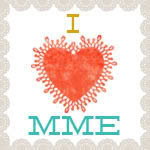 I can't seem to stop playing with my stencils and embossing paste. I made this card last night and I just love how it came out!! After applying the embossing paste to the stencil, I sprinkled on some fine glitter while the stencil was still in place. The effect just makes me HAPPY!!! I then die cut my butterfly and clear embossed the image (both from Papertrey Ink). I added a piece of washi tape and some twine, stamped my sentiment and placed a few sequins on. Mounted it to my card base and voila, another clean and simple card.